Anne-Lot Hoek is historian and journalist. She writes for NRC Handelsblad and Vrij Nederland. At NIAS, she works on a book on the decolonization process on the island of Bali. Our Journalist-in-Residence, Anne-Lot Hoek has just returned from a Bali field trip, where she interviewed several Balinese about their experience of the struggle for independance. She also attended the commemoration of a military battle against the Dutch colonial army. 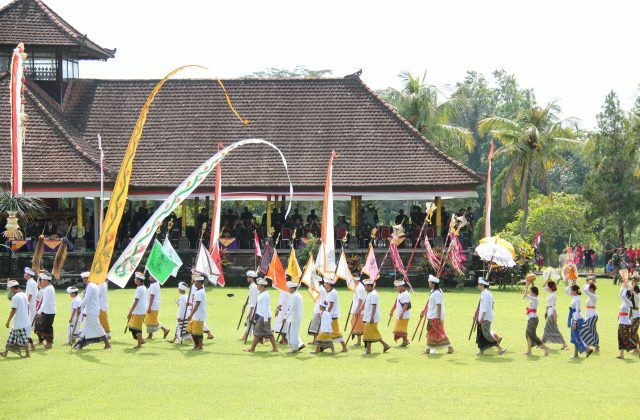 "On the 20th of November each year Bali commemorates the Puputan Margarana, a military battle against the Dutch colonial army in 1946 that cost the life of resistance leader I Gusti Ngurah Rai and that of many others. 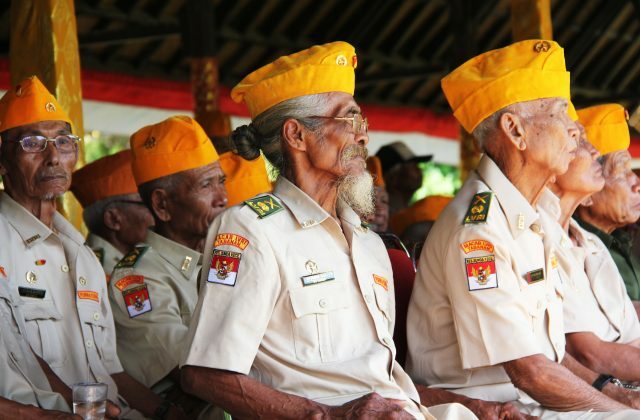 Veterans, relatives and others gather to take part in the ceremony of the commemoration of the Puputan Margarana." Photograph by Anne-Lot Hoek. "The eleventh son of the last king of Klungkung on Bali: his father as a small child survived the Dutch attack on Klungkung palace in 1908, the so-called Puputan Klungkung, was exiled to Lombok and became king in 1929. Dr Putra wrote a book about his fascinating family history." Photograph by Anne-Lot Hoek. Anne-Lot Hoek is trying to understand why violence on Bali during the Indonesian independence struggle was so intense and how that is placed within the tradition of colonial violence and resistance on the island and within the context of the forming of the State of East Indonesia. Her book explores this conflict through personal accounts.